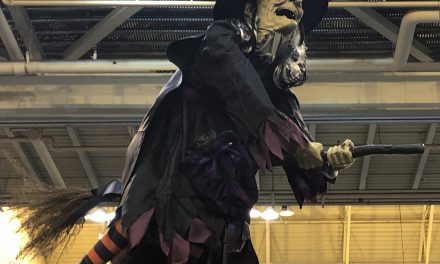 Transworld is upon us and with it, more creepy Halloween props. First up is the Spinning Ghostly Twins from Morbid Enterprises. 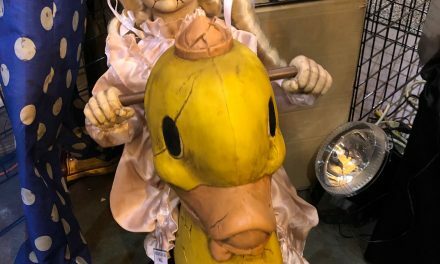 At HauntCon I saw this prop up close and was immediately intrigued by what I saw with the two scary looking twins holding on to each other. 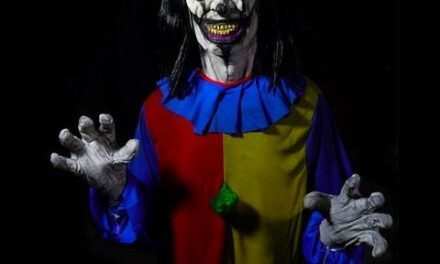 The prop is supposed to spin in a circle as they chant some creepy phrase to you that is intended to freak you out. It’s not that I don’t like this prop. 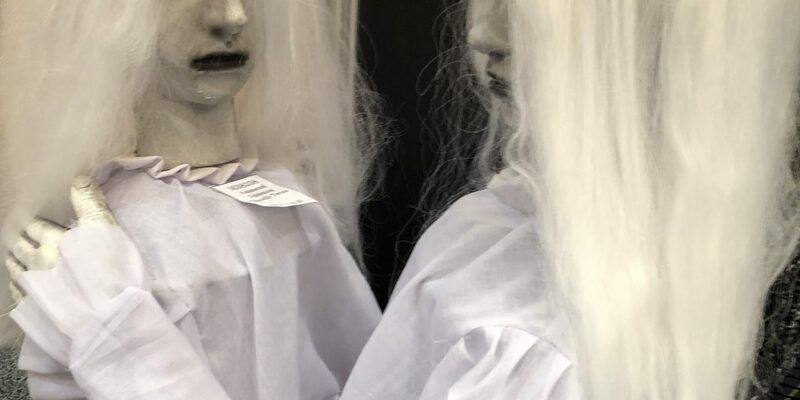 I just think that the Spinning Ghostly Twins looks a lot like Double Trouble, the ghoulish twin prop that Spirit Halloween put out last year. Double Trouble was so well done for a $200 prop that I don’t see why someone would make one that doesn’t quite look as good and only saves you about fifty bucks. I am reserving judgement until I actually see the prop in action. However, until then I believe I will pass. Morbid Enterprises makes some decent props. Unfortunately sometimes they skimp on quality in order to make a more affordable prop. It really is a double edged sword sometimes. With Transworld going on this weekend I fully expect to see some really cool stuff in the coming days. Please check back often. More news about your favorite Halloween props will be coming right up!